The smog was so thick when my Air Canada Rouge flight touched down at Los Angeles International Airport this morning that you could have scooped it up and served it as pudding. With the horizon disappearing into a grey-brown haze, it’s the kind of thing that could really get a guy (or gal) down. 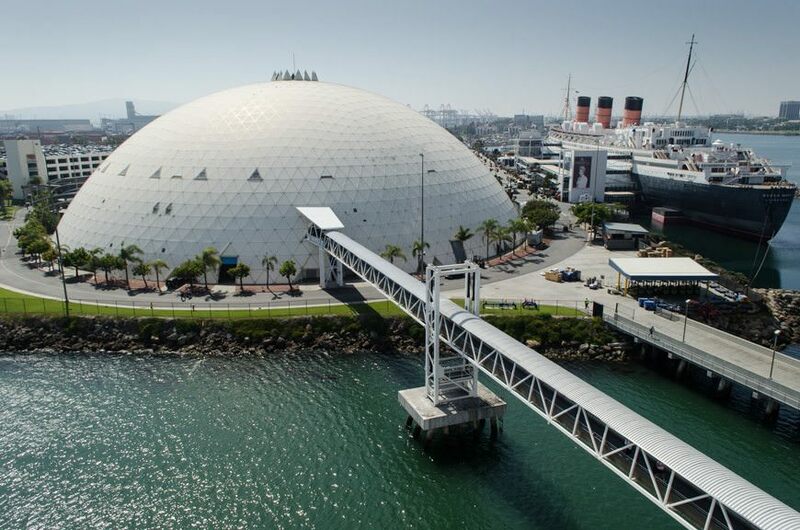 Unless, that is, you’re headed to Long Beach to embark Carnival Cruise Lines’ Carnival Miracle for a weeklong voyage to the Mexican Riviera. 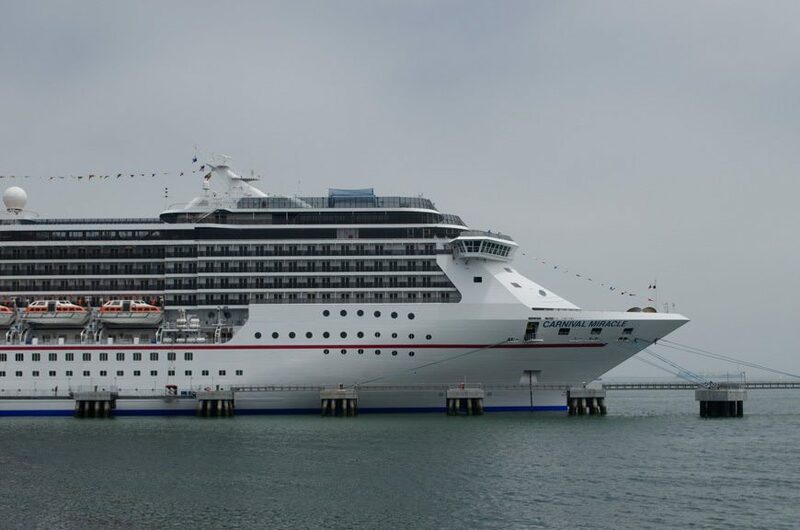 The Mexican Riviera is one of my favorite destinations, and I’m glad to see Carnival has committed Carnival Miracle to a full year-round schedule out of Long Beach down to Cabo San Lucas, Mazatlan and Puerto Vallarta for the near future. Five years ago, this fantastic run nearly died out completely in the wake of some high-profile shootings in the region, and Carnival is one of the first lines to come back. 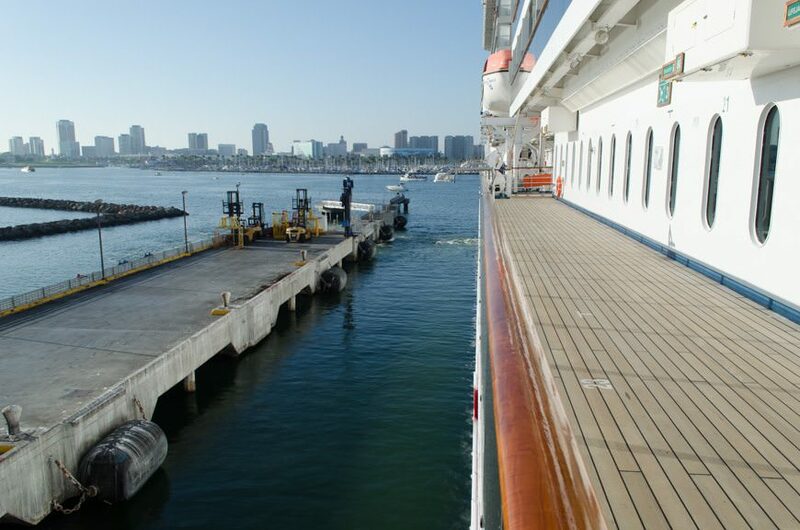 I first sailed to the Mexican Riviera back in February of 2006, onboard Holland America’s Oosterdam. 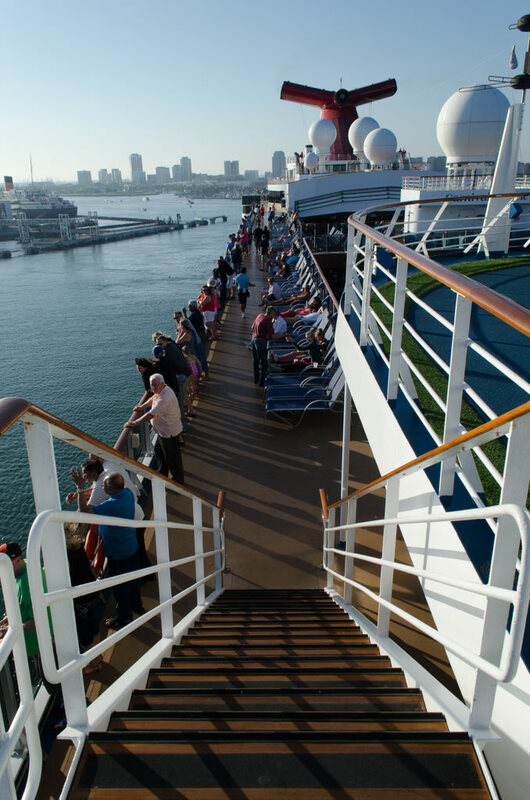 At that time, nearly half a dozen cruise lines offered a full slate of seasonal sailings to Mexico’s Pacific coast, from San Francisco, Los Angeles, Long Beach and San Diego. I loved the region for what it was: a uniquely Mexican experience that seemed, to me, to be slightly less commercialized than Mexico’s Caribbean coast. It’s also more diverse, with arid desert landscapes in Cabo and the imposing lushness of the Sierra Madre mountains near Puerto Vallarta. Just when it seemed as if the Mexican Riviera would slip quietly into the forgotten annals of cruising history, Carnival almost singlehandedly revived it. 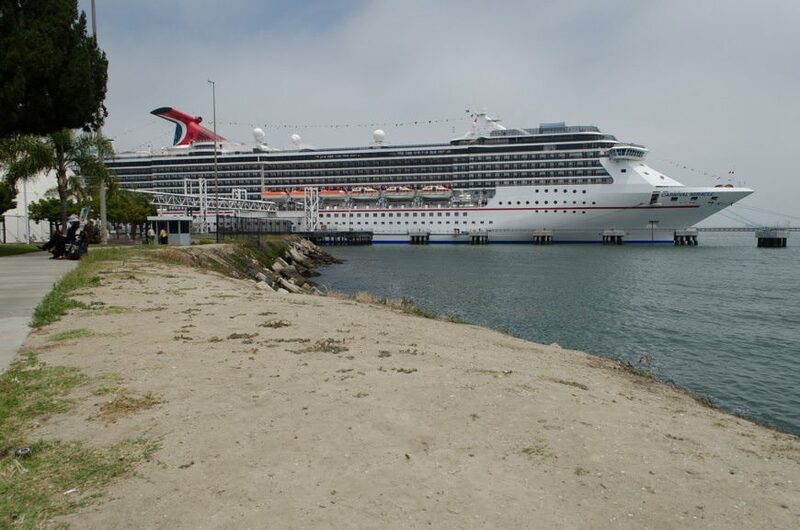 And the Carnival Miracle, based out of Long Beach year-round for the first time in 2015, is just the ship to bring it back. 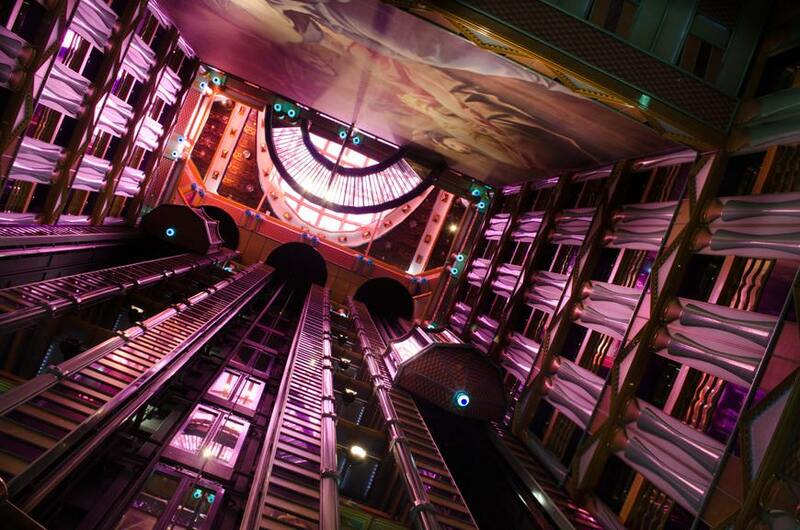 At 963 feet in length, Carnival Miracle can carry 2,124 guests comfortably. 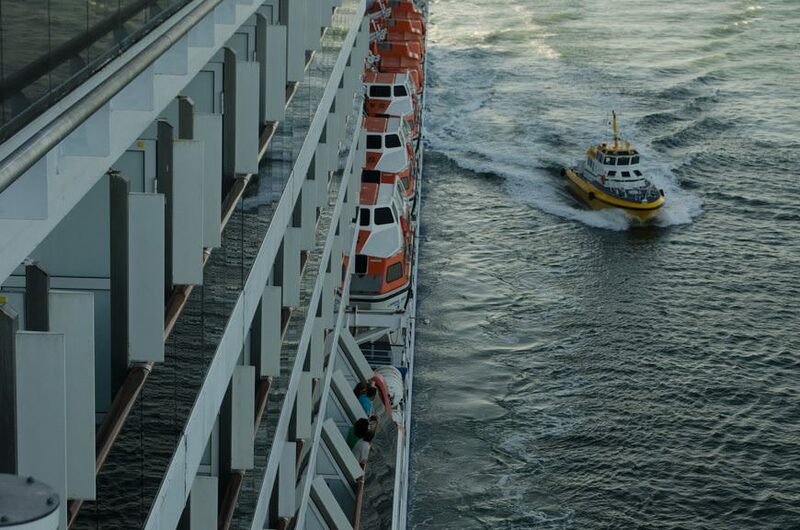 She has a crew of 930, and a cruising speed of 22 knots. 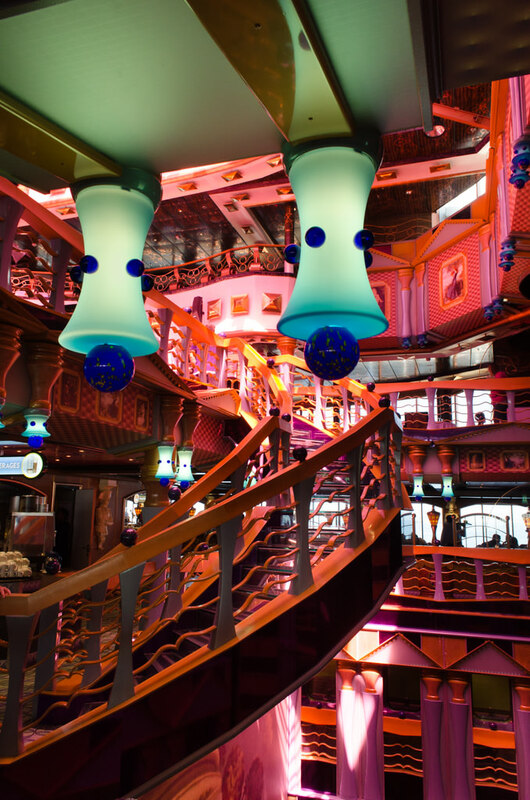 Her basic design, pioneered by the Carnival Spirit, would go on to become cruising’s most successful hull design. 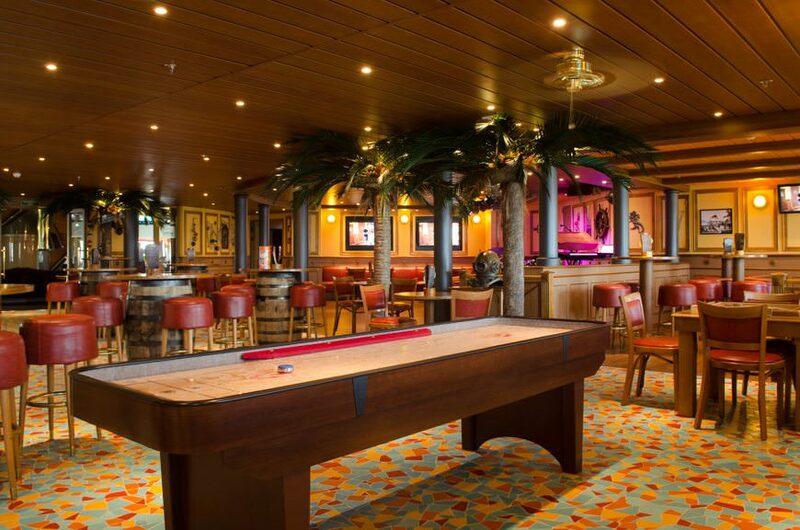 The Spirit Class that Carnival Miracle is a part of, inspired Holland America Line’s entire newbuild fleet beginning with Zuiderdam in 2002, which would in turn act as the basis for new vessels for Costa, Cunard and P&O UK. 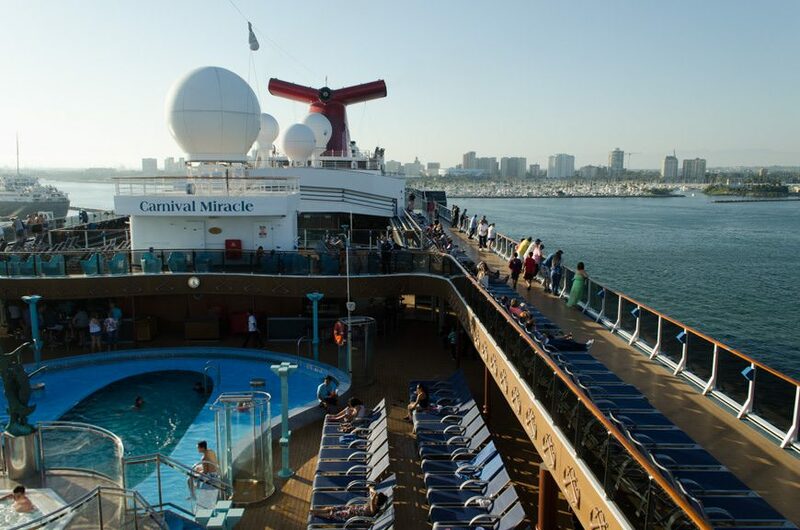 Minutes after embarking in Long Beach, Carnival Miracle became my favorite Carnival cruise ship to-date, even smoking past my adoration for the admittedly-gorgeous Carnival Breeze. Maybe it’s my nostalgia for this class of ship seeping through, but as far as I’m concerned, Carnival got everything right with Carnival Miracle and her sisters, Carnival Spirit, Carnival Pride, and Carnival Legend. 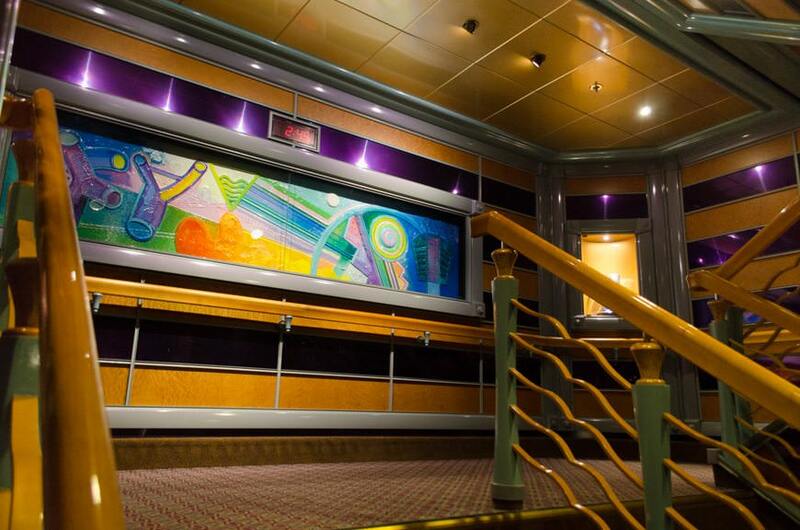 In fact, I’ve come to the conclusion that Carnival Miracle boasts an uncommon amount of space for a Carnival ship. 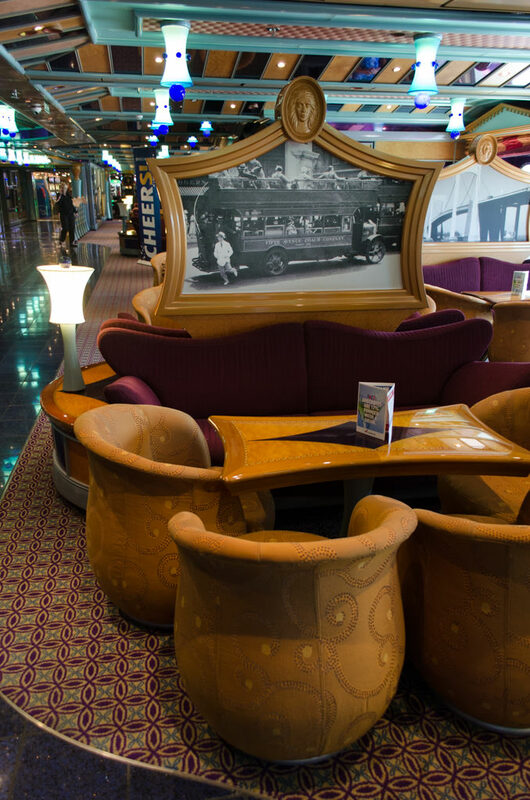 Public rooms are numerous and plentiful, and open deck space is downright generous. Despite being technically smaller, she feels leaps-and-bounds larger than Carnival Freedom, which I sailed aboard back in February. 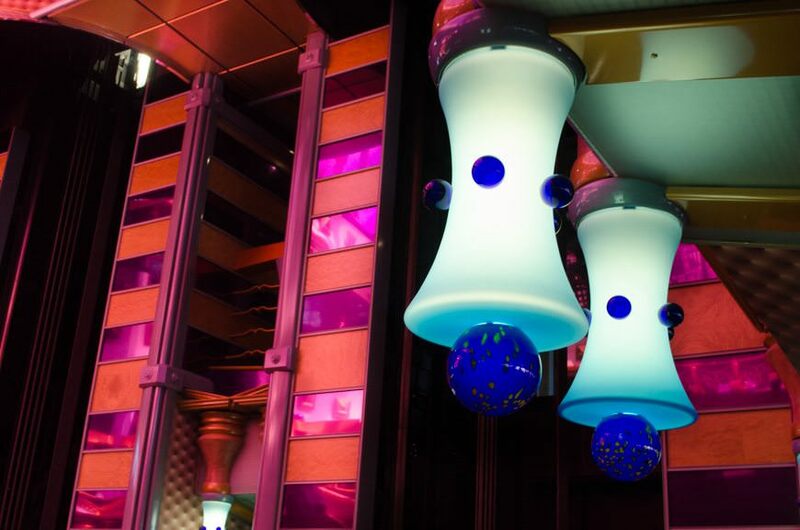 She’s also been recently refitted: a March drydock has given Carnival Miracle a general sprucing-up, as well as some of my favorite Carnival features. 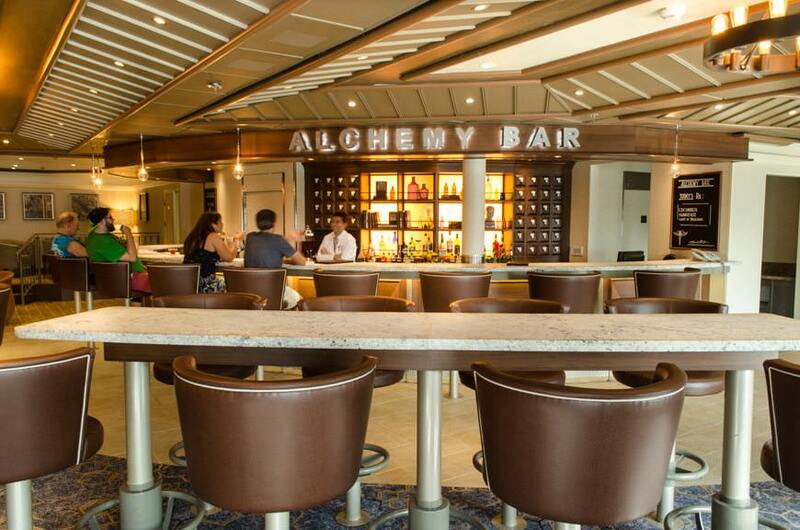 The most noteworthy of these, in my opinion, is the Alchemy Bar, which occupies a huge and unabashedly stylish space on Deck 2 just aft of the sweeping nine-story atrium. 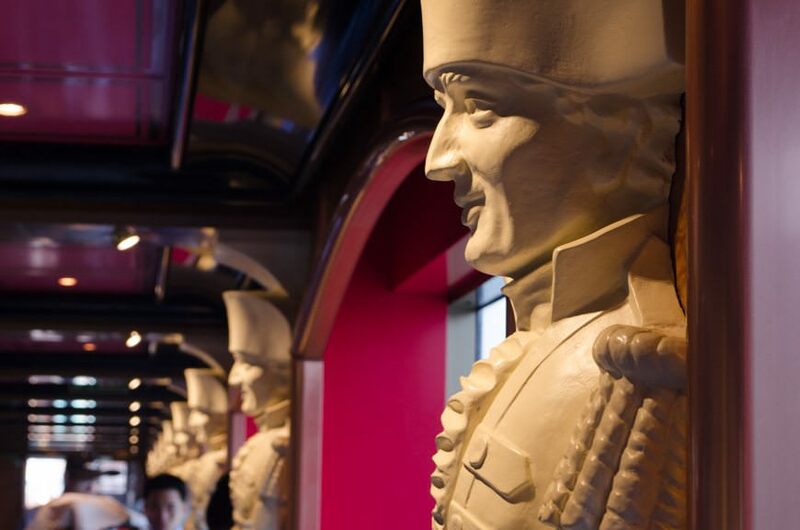 Taking over the spot formerly occupied by the Jeeves Lounge, the Alchemy Bar has been given an entirely new décor, complete with high-back leather chairs and rich fabrics that would look at home aboard Queen Mary 2. 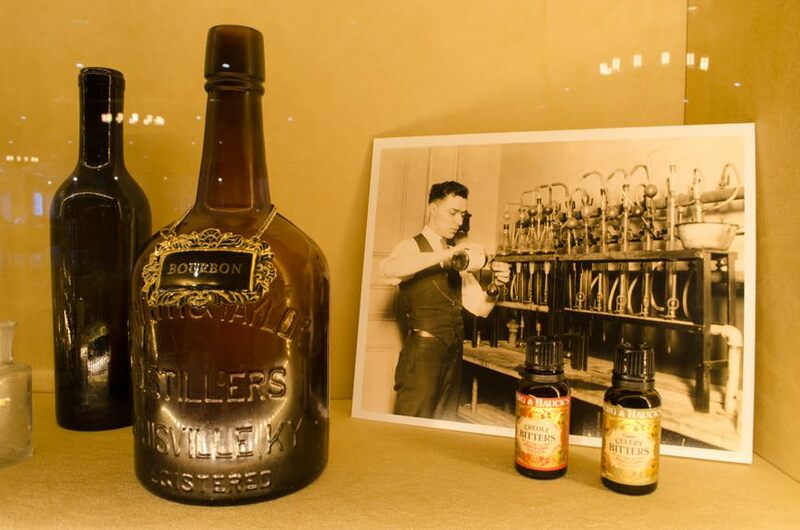 Designed to be an apothecary of adult libations, the martinis and cocktails here are to-die for. 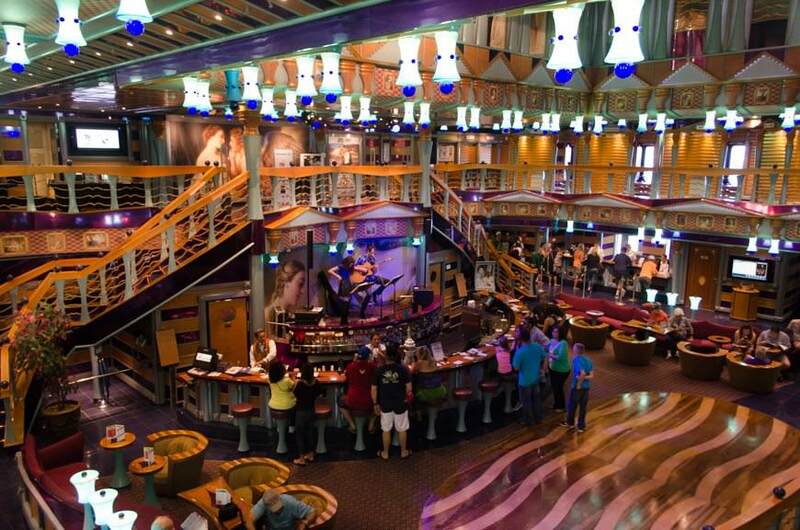 Also new is the RedFrog Pub, which has replaced the Jazz Club on Deck 2 forward. 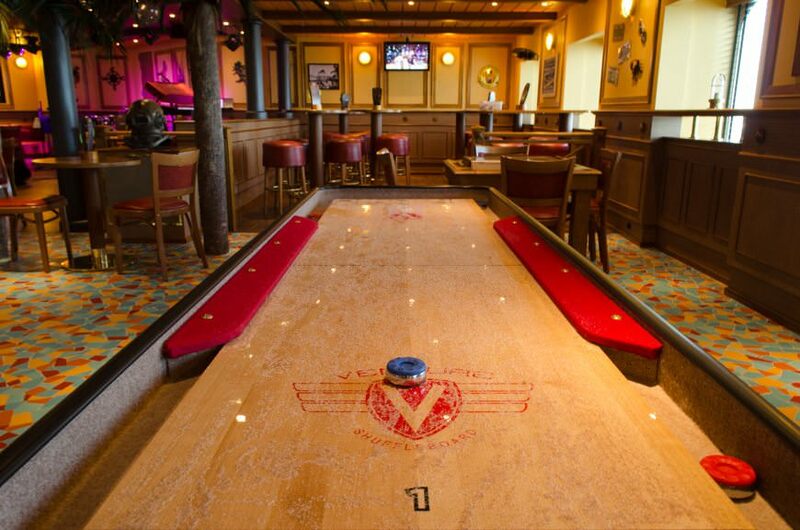 Serving up pints of Carnival’s own ThirstyFrog Ale (as well as a full menu of other beers and drinks), the RedFrog Pub may very well be one of the line’s greatest creations. 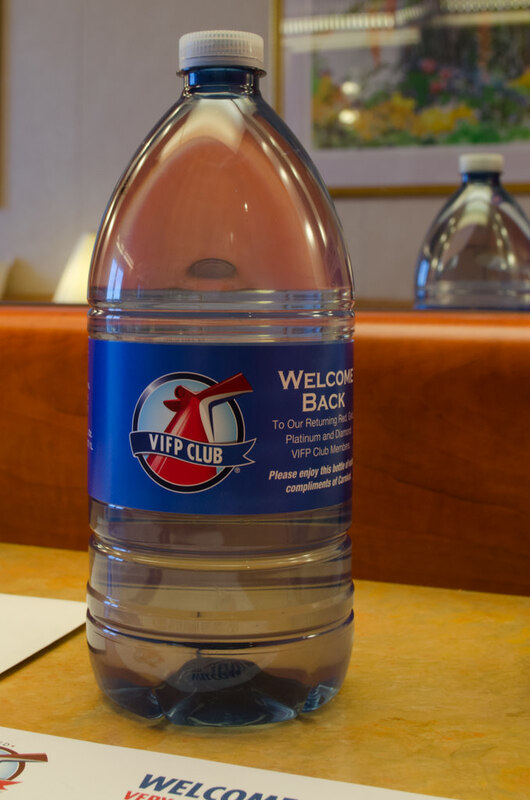 I’m glad it’s here aboard Carnival Miracle; I’m not sure how I would survive without its soothing Caribbean atmosphere and often-hysterical Adult Pub Trivia. 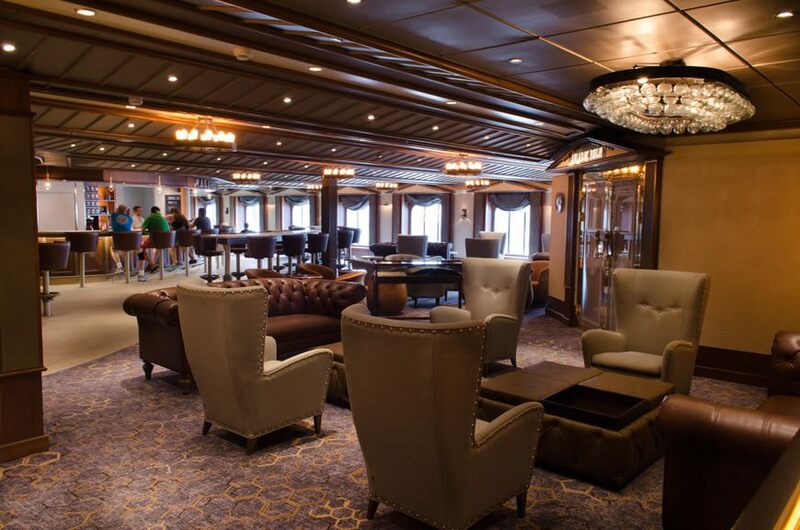 The March refit also extended to other, less expected areas. Carpets look crisp and new, and I noticed that even the emergency evacuation chart on the back on my stateroom door is brand-spankin’ new. 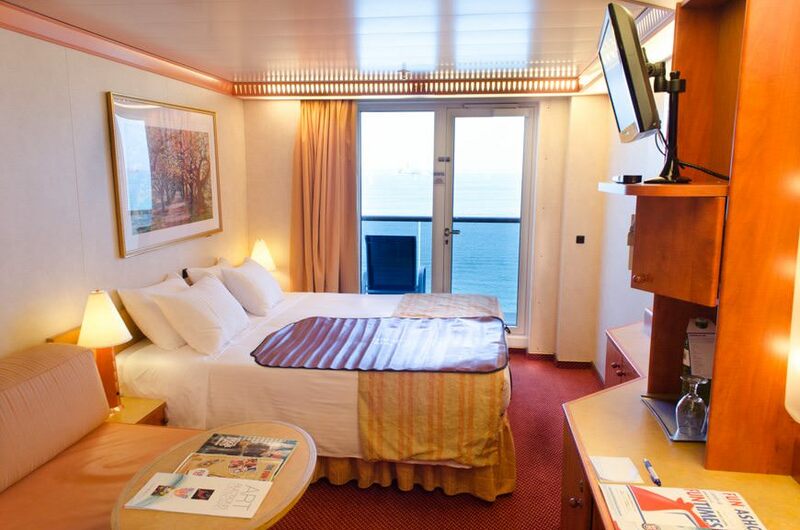 My home for the week here onboard: a Category 8C Balcony Stateroom on Deck 6. 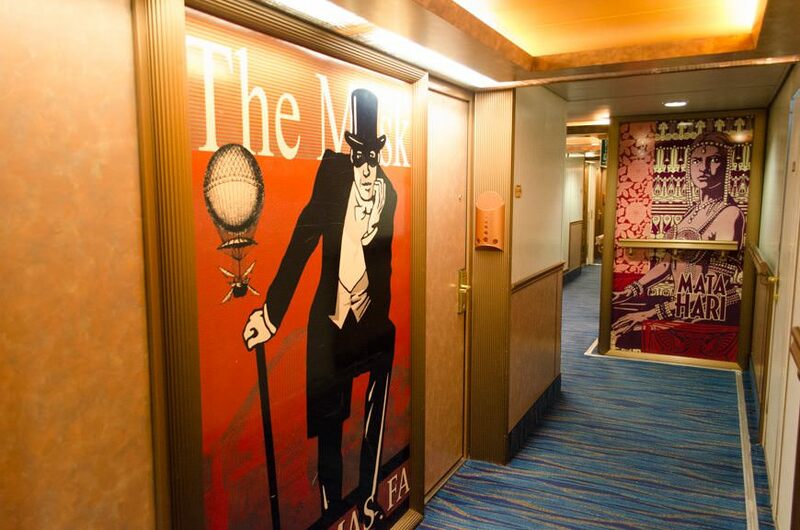 If you’ve sailed with Carnival before, you’ll recognize the stateroom layout instantly – though Carnival Miracle substantially tones down the Miami Vice pinks and oranges that were, at one time, the staple accent colour on the line’s earlier vessels. 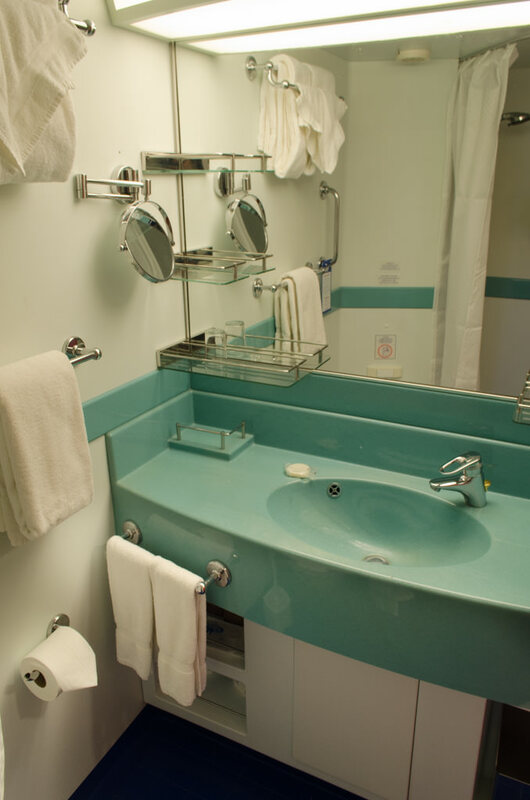 The room boasts a large vanity that doubles as an excellent writing desk, along with three closets, numerous drawers, two bedside end tables with lamps, a queen-sized bed that can be separated into two twins, a full-sized couch with table, a flat-panel television, and a decent-sized bathroom that features your standard shower/toilet/sink combination. 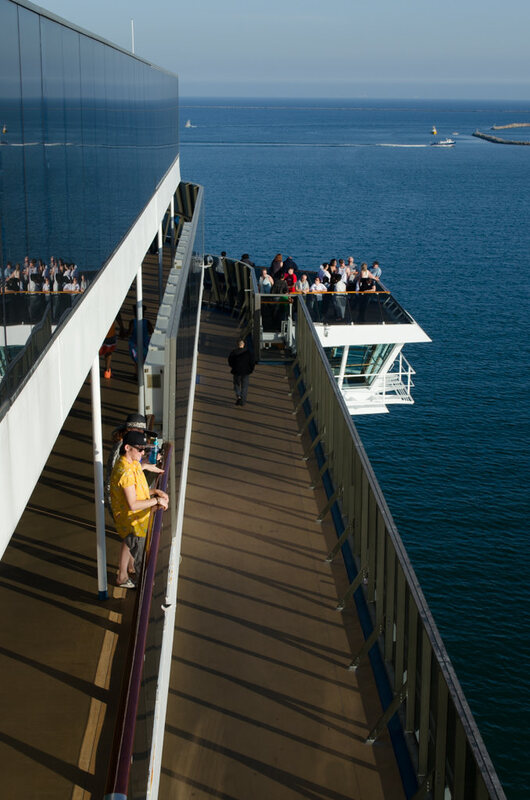 Both North American and European power outlets are available, and the balcony is surprisingly large; easily on-par with balconies found aboard the ships of Holland America Line. 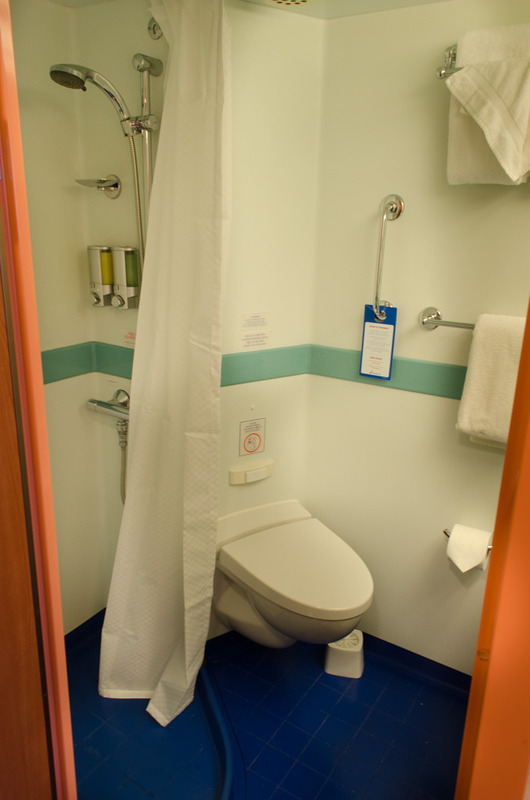 The room is virtually identical to the stateroom I occupied aboard Carnival Freedom earlier this year, but the bathroom seems larger (and better coloured, with dark blue accents), and the overall fit-and-finish strikes me as being above-par; interesting, considering Carnival Miracle is actually the older of the two ships. We set sail nearly two hours late today, finally casting off from our Long Beach berth just after 6:30 p.m. We were told it was due to a delay with authorities granting us clearance to leave; however, onboard Carnival Miracle, no one seemed particularly worried about our delayed departure. On the ship, the party had already started. Why sweat the small stuff? 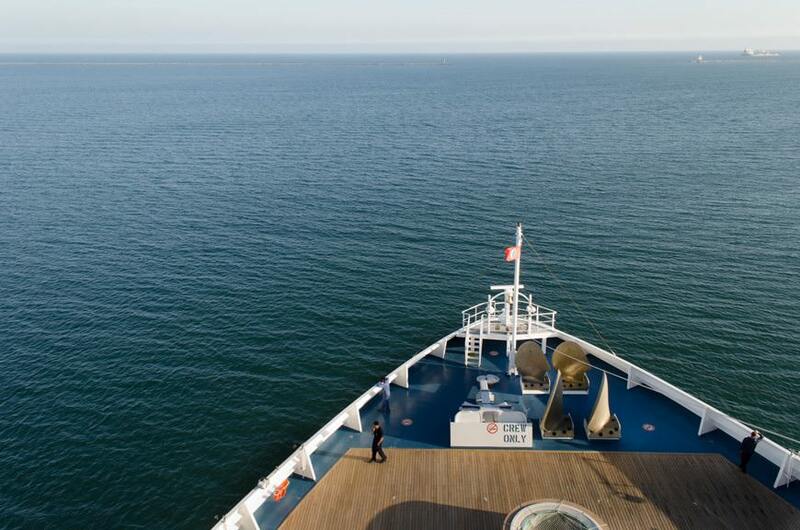 Sure enough, after two hours of waiting Captain Luca Lazzarino hammered down on the Carnival Miracle’s deep-baritone horn and gave the order to let go the lines. The thick blue ropes immediately slackened against their bollards, and one by one they splashed into the harbour, where they remained for a few short seconds before being winched aboard. 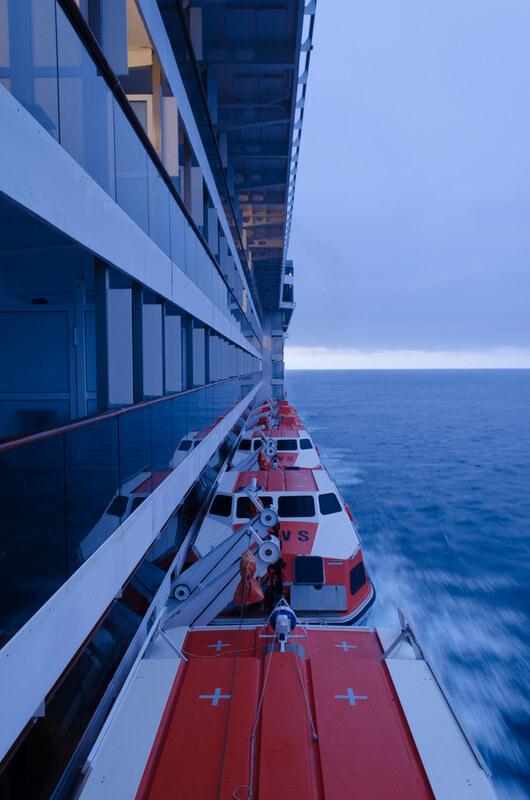 Alive for the first time this cruise, Carnival Miracle gradually eased out into the open expanse of the Pacific Ocean and set a course for our first port of call of Cabo San Lucas, Mexico – and I couldn’t be happier. Not only do I get to revisit a part of the world I haven’t seen in five years, but I get to do so on a line that truly seems to support the cruise industry on Mexico’s Pacific Coast. 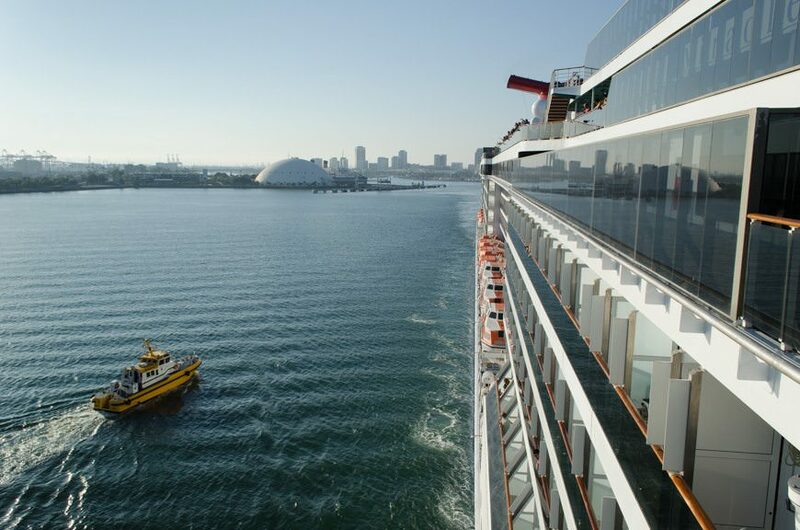 In 2006, I had a Mexican Riviera voyage on the books with Carnival, aboard Carnival Miracle’s sister-ship, Carnival Pride. But I cancelled before final payment was due. My rationale: Carnival wasn’t for me. Now, nearly a decade later, I’m discovering just how wrong I really was. Thanks Daniel! 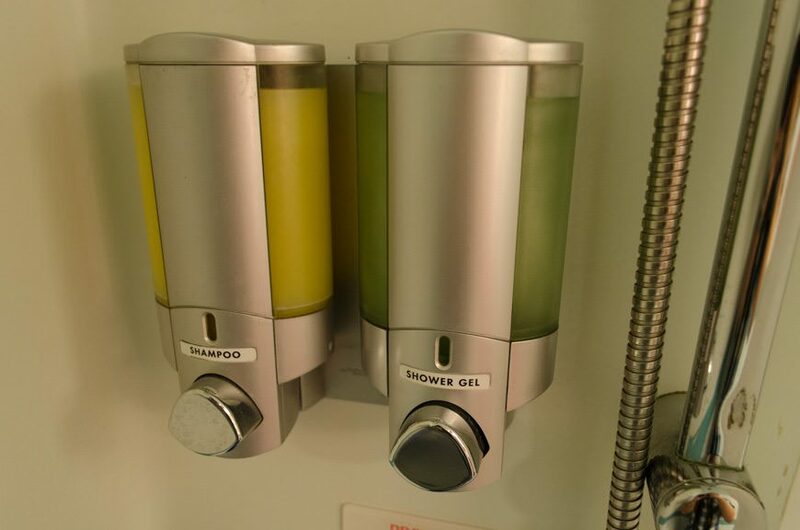 You know, Carnival stacks up very nicely. For what it is – and who it’s aimed at, and the price point it’s offered for, it’s a heck of a lot of value. The difference between a luxury line and a mass-market line is, of course, night-and-day 🙂 Hope you enjoyed – Aaron.